Just in time for holiday shopping, Lady Classic is proud to launch a new website design! Keeping our wonderful customers top of mind, we overhauled the site to make the shopping experience as simple as possible. Gloves are now highly visible on the home page, with direct links to product details and buying information. New photos of the gloves will be uploaded soon, so please check back for them later. In addition to the website launch, we are also proud to introduce our new copper-infused line of ladies gloves, Copper Tech. 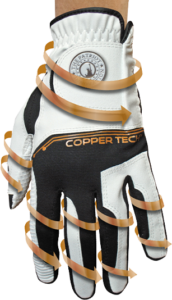 Available online, our Copper Tech gloves soothe arthritic joints and allow you to play your best. They’re also available in several colors: lime/white, pink/white, white/white and fuschia/white. If you’re looking for accessories, head over to our magnetic ball markers, cute visors or quick-drying microfiber towels. We look forward to helping you play your best round of golf! As always, we are grateful for our loyal customers, and appreciate you for years to come.